Calling all pizza lovers! 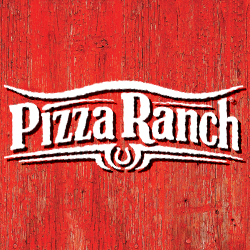 Join us at the Ranch for the best pizza in Sigourney—not to mention, the Country’s Best Chicken. Our Buffet Your Way is serving up both and giving you a legendary dining experience. Find us just minutes from the Belva-Deer Recreation Area and Lake Belva Deer. Stop by to refuel, or call in for takeout or delivery, and we’ll have everything fresh and ready for you! From Cheesy Ranch Stix to Cactus Bread, you’ll find enough options to satisfy everyone in your crew. Host your next event here or join us for Community Impact events and see for yourself! We proudly support groups like the Keokuk County 4-H.